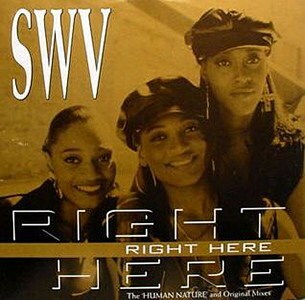 Right Here is an R&B new jack swing song which is the debut single by American R&B girl group SWV. It was written by John Bettis, Steve Porcaro and Brian Alexander Morgan –the producer. 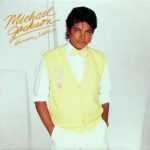 The track was released as the lead single from the album It’s About Time on August 20, 1992. 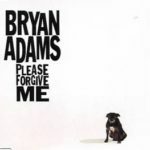 It peaked on the US Billboard Hot 100 at Number 2 and at Number 3 on the UK Singles chart. 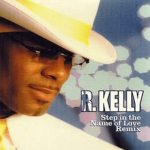 A remixed version entitled Right Here (Human Nature Remix), became a number-one R&B single, selling 500,000 copies and earning a gold certification from the RIAA. In 2011, American singer Chris Brown sampled the remixed version for his hit single She Ain’t You, from the album F.A.M.E.